AUSTINTOWN, Ohio — Would you like your company’s logo on a jacket by The North Face? What about a cutting-edge wireless mobile phone charger? Maybe a pair of socks? All of these options and more were on display at this year’s Ignite Your Brand trade show at Hollywood Gaming at Mahoning Valley Racecourse on Thursday. Hosted by Safeguard by Prime, the expo features distributors of promotional items from across the United States showing their wares to the 125 business and community leaders who were on hand. It’s the third year for the show, which garners great interest from regional companies, said Brian Governor, an account executive with Safeguard. Registration was sold out. The event name “Ignite Your Brand” speaks to the benefit of implementing promotional products into a company’s business marketing strategy, Governor said. He calls them the “quiet advertisement,” in that they increase brand visibility without using television or radio. 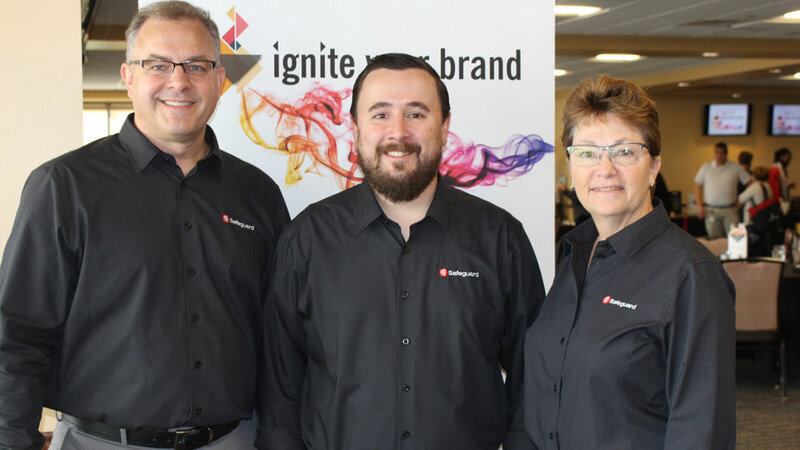 (From left) Brian Governor, Safeguard account executive, Tim McMahon, Safeguard owner and general manager, and Tracey Barton, Safeguard director of promotional products, say the Ignite Your Brand trade show receives strong support from local businesses. A pen, for example, will go through eight or nine people in its lifetime, said Tracey Barton, Safeguard’s director of promotional products and distributor support. The more people who use the pen, even if only once, increases the potential daily impressions that it will generate, she said. An umbrella may sell for $10 or $20, but can generate up to 1,331 impressions on average, she said. For someone who uses a branded mug for their morning coffee, “you are getting a 37-minute commercial from that brand every day. That’s a lot of impressions to a customer,” she said. Safeguard works with its customers to help select the best item for their marketing goals, Barton said. Safeguard recently had success with its Message in a Bottle campaign, in which the company placed rolled up marketing messages in bottles and delivered them to prospects. Messages explained Safeguard’s business and what they offer, and included contact information to learn more, she said. Kim Calvert, the vice president of marketing and special events for the Youngstown/Warren Regional Chamber comes to the trade show each year to find products that the organization’s membership and event attendees could use. The chamber hosts about 100 programs and events annually, she said. For the chamber’s Health and Wellness Expo earlier this year, Calvert distributed a container with antibacterial wipes to every attendee. She found the item at last year’s Ignite Your Brand event and said it was a hit with the expo’s attendees. 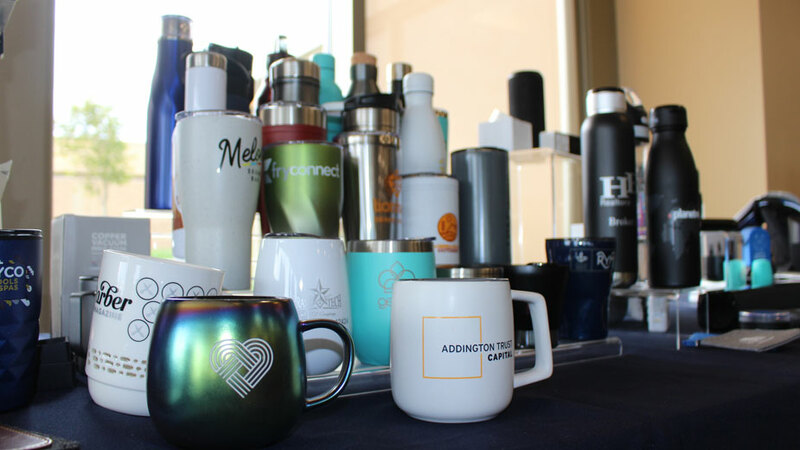 Promotional products make up a $24 billion industry and demand for the products continues to increase, Barton said. Over the last few years, Safeguard has enjoyed single-digit growth annually. Customers are showing more interest in technological products, she said, particularly among wireless chargers for mobile devices. They are interested in more “retail-looking products” as well, which has prompted more name brands to enter the market. Companies like Ogio and Pelican are coming into the industry with brandable products, she said. High-end branded products make up about 60% to 70% of Sanmar’s total business, said Brian Allman, a territory manager who covers most of northeastern Ohio and into Pennsylvania for the Seattle-based company. Nike “is always hot” for the company, and it just brought on The North Face, “which is huge for millennials,” he said. “They love the brand and it was a good pickup for us.” In January, Sanmar will be adding Carhartt workwear to its catalog. Name brand products like Nike and The North Face make up about 60% to 70% of Sanmar’s total business. The high-end products are generally priced 30% higher than Sanmar’s own in-house brands, but the economy is strong, he said, and customers are more likely to cover the cost. In August, Allman’s sales alone were up 28%. “A lot of companies like the brand because with their personal logo on next to a brand means a lot to a lot of the people,” he said. Branded products are especially popular with marketing companies, real estate firms and banks, he said. As business professionals start to dress more casual, he said he sees increased sales in polo shirts and pullovers. 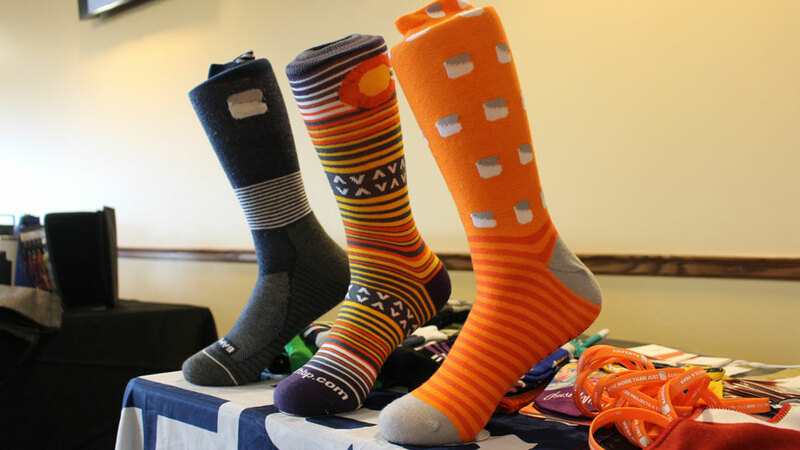 Custom branded socks have been popular items with Bambams since the Virginia-based company launched its sock line about a year ago, said its creative director, Chelsey Wassel. Socks are something that people have to wear every day, she said, and more business professionals are opting for a “funky” design rather than the plain black dress socks. Bambams introduced its custom sock line about a year ago. 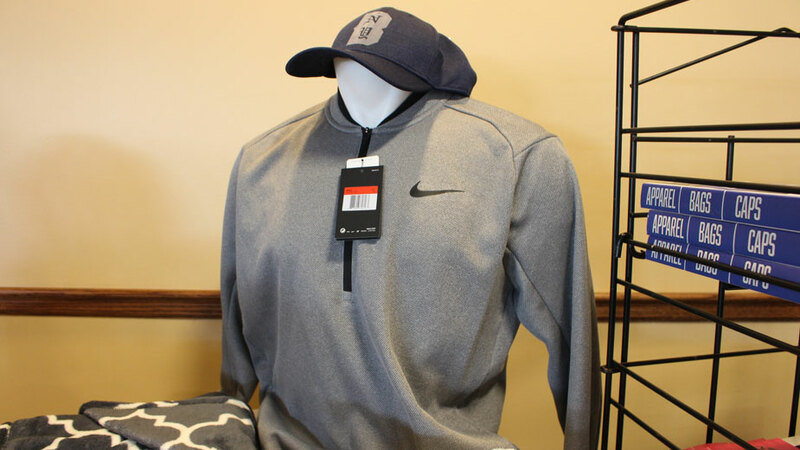 Along with clothing, tech products are increasingly popular, Barton said. While fairly new, wireless chargers for mobile devices are in demand to meet the changing technological world. By 2020, more than half of the mobile phone market will have wireless chargers, and “some of the phones coming out won’t have a cord with them,” she said. Bic Graphic added wireless chargers to its catalog two months ago, said national account manager Joe Ruedt. Wireless chargers run about $30 to $40 each, compared to standard portable chargers, which range from $10 to $50 depending on capacity. Of the 55 brands Bic carries, 12 are tech that carry more than 130 items altogether, he said. For the last two years, portable chargers “have done very well” regardless of a customer’s industry. Power banks — rechargeable energy storage devices that lets users recharge electronic devices — are especially popular among traveling professionals, said Madison Mastro, a regional sales manager with PrimeLine Promos. The company carries the Power Beast mobile charger, which boasts 12,000 milliampere hours (mAh). The typical power bank only has 1,200 mAh, which will “charge your for about a day, day and a half,” she said. The Power Beast can be used to recharge a phone for seven days before it’s drained. Interest for wireless chargers is increasing among Mastro’s customers, she said. Many who ask for chargers want wireless versions. “I think within the next two to three years it’s going to be probably the No. 1 item in the industry,” she said. Such high-quality gifts typically aren’t used as giveaways, rather as employee gifts or for colleges and universities who give them to incoming students, she said. And while “IT is a huge category for us,” staple items like pens and mugs are hotly sought after by customers, said Safeguard’s Governor. Goldstar, a San Diego-based manufacturer and supplier of customized writing instruments, has seen increased sales of its duplex style pens, said regional sales manager Rob Baumgardner. The pen and highlighter combo is especially popular among schools and health care providers, he said. For something with “a bit more perceived value,” the Ellipse Softy with stylus is the company’s hottest seller, he said. It’s soft, rubberized grip is a popular trend in the industry, he said. Companies can brand the pen with a full-color imprint or laser engraving with a 72-hour turnaround. “In our industry, everybody needs it yesterday. So that’s where we come into play,” he said. Hear more from Governor and Barton in today’s 3 Minutes With interview. Click here to watch. Pictured above: Joe Ruedt, national account manager with Bic Graphic, said his company offers more than 130 tech items and that portable charges are among the most popular.